More Resorts Open; More Slopes Open. The Ski Industry Engine is Cranking Up in the Southeast! 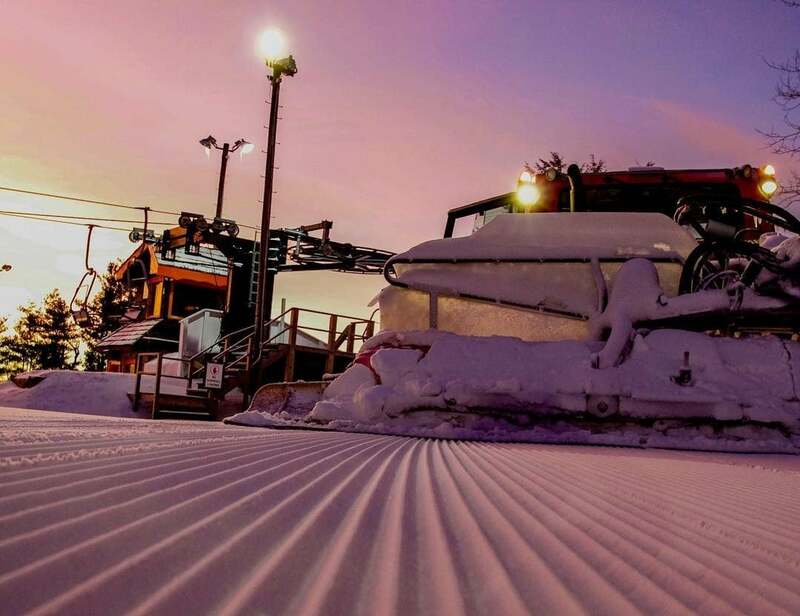 Click to Enlarge this nice shot of groomed corduroy at Appalachian from Friday morning. 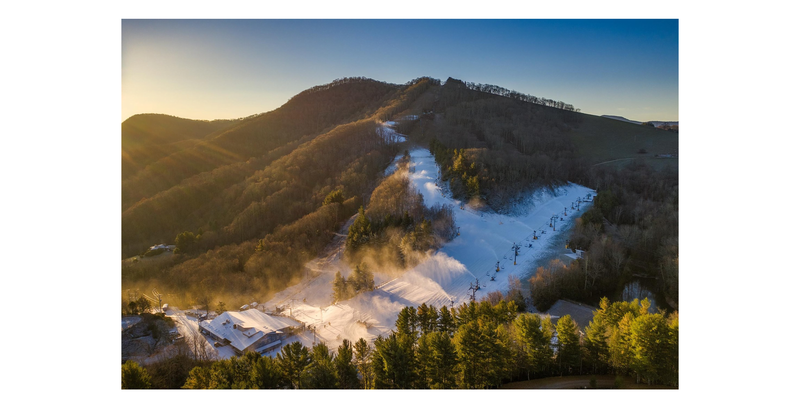 Appalachian Ski Mountain opens with 8 slopes with a 10-18″ base and peak season conditions over all open terrain. They will be open until MIDNIGHT tonight as well. The Appal Jam Terrain Park is open with features for all abilities including two flat boxes, a flat rail, and a step-down rail as well as various cat track features as the day progresses. Since all features will be set on-grade and will be either medium or small in size, a park pass will not be required to enter the Appal Jam Terrain Park currently. The Appaljack Terrain Park will be open for riding but will not have features set due to the base depth of the park. It will also not be groomed, offering riders a natural snow and terrain experience. As always, the first 100 guests to the cashier ticket window on this, their opening day will receive a free ski ticket! Cataloochee Ski Area is showing some snowmaking this morning at 32° and they are OPEN for day sessions only on Saturday Open mid-station down. They are looking quite nice. Snowshoe Mountain – 24° and these guys are opening Nov 21st but they already look in mid-season form. In addition to the photo of the day ABOVE…check out the Village this morning! Check out the village frost and snow! Click to Enlarge! 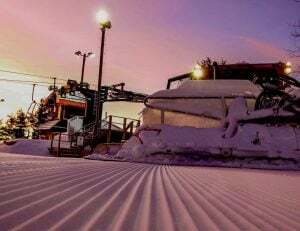 Beech Mountain Resort – They made snow Thursday night into Friday but then the temps were just above the needed mark and no snowmaking is happening this morning. However, Beech assures their fans that they will make snow at every opportunity now and open ASAP. 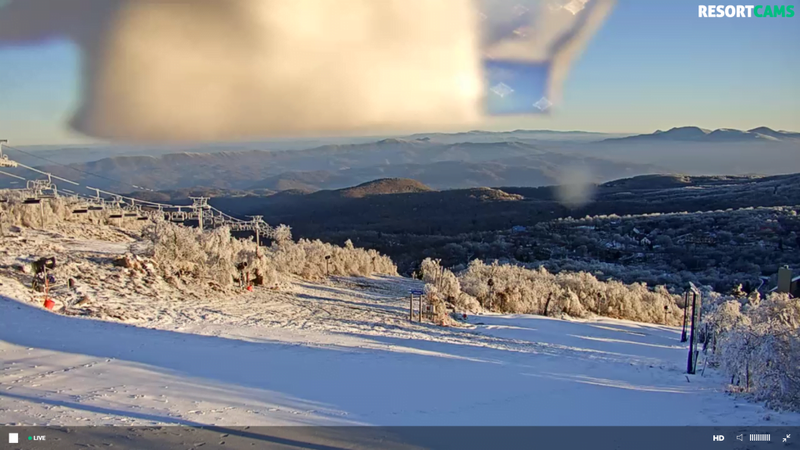 The webcam up at the top of Beech is freaking amazing! Check these out: Click to Enlarge both. Those 1080p images are creating some nice, sized captures! Click to Enlarge! Love the snow on the housing! Canaan Valley – the snow machine just keeps on cranking here in Tucker County as Canaan Valley saw another TRACE of snow over the last 24 hours. The cold temps are here as well as it was 23° this morning as of 7am. 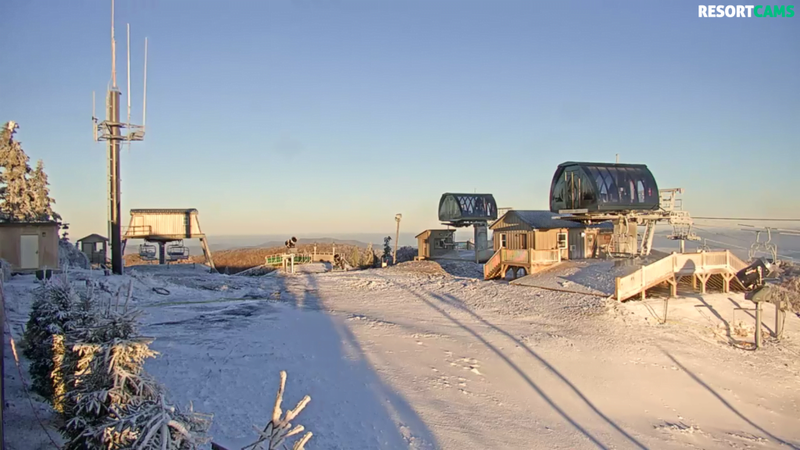 Massanutten Resort – 28° and they DID get their power back on and you can see some snow on their webcams! Mass Resort is hosting a Ski & Snowboard Swap today! Get ready for ski season! Massanutten’s Annual Ski & Snowboard Swap is the best place to sell your gently used gear and find all you need for the upcoming ski season. Products available for purchase will include used skis, snowboards, goggles, soft gear, and other mountain sports equipment offered at great prices. Plus the General Store will host a sidewalk sale! 20% of the sales from the Swap benefit the Massanutten Ski & Snowboard Team, a nonprofit organization for youth snow sports enthusiasts. Ober Gatlinburg – 34° – Snow Tubing will open for daily operation starting Saturday November 17th, 2018. This is possible thanks to our “Snow Magic” refrigerated snow making system. Skiing will begin soon. Wintergreen Resort – 34°. We assisted in getting all of their webcams operational this week. A crystal palace is on display with the snow and rime ice they saw. 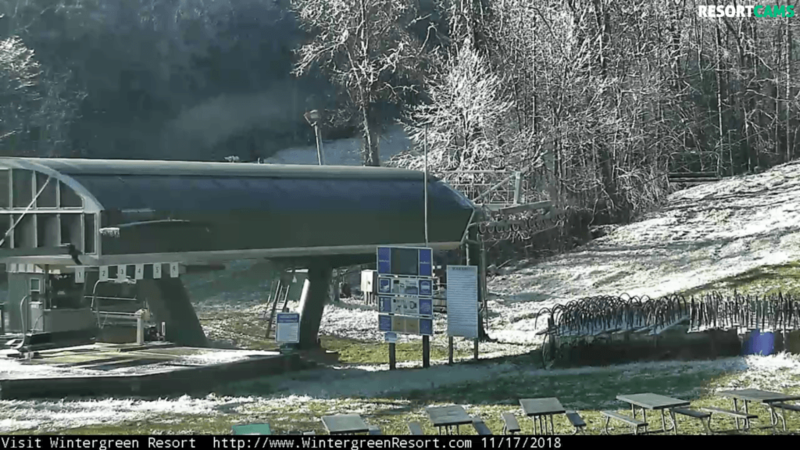 Winterplace Resort – 34° and we’re pretty sure that power has not been restored to the ski area as both cams are down and there are mentions about it on social media. 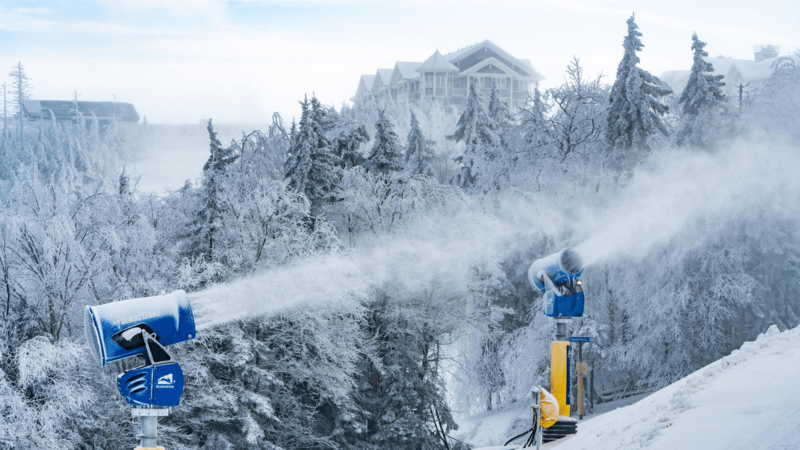 Wisp Resort – 29° They are holding a JOB FAIR today! WINTER JOBS ALERT: November 17, (9am -noon) Wisp Resort will be holding its annual Saturday job fair. Come over to meet with supervisors to learn about the roles available for the 18.19 Winter Season. Fill out your application right at the job fair. They will be opening soon! 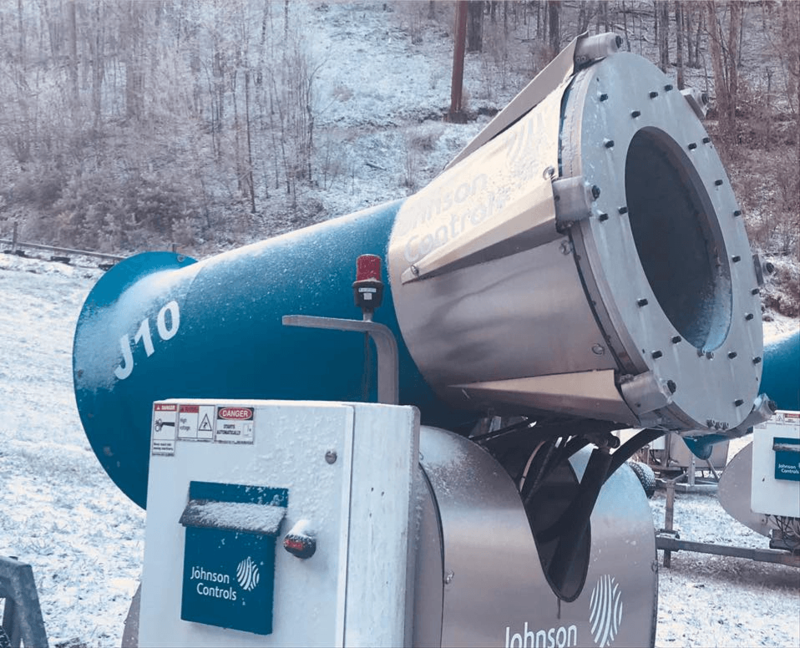 We’re excited about our new SNOW POWER…we’ve rolled out 15 new snow guns on the mountain!! Soon as conditions are right we’ll fire them up!! 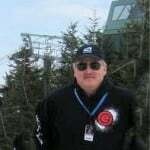 Timberline Resort – Lots of questions going on. We’ll end things today by addressing “one of the elephants in the room” as readers and inquiring minds just want to know what’s happening or whether Timberline Resort WILL or WILL NOT open this season. That question will probably remain unanswered until either November 30th, when the owners said they will open, or a mid-to-late December date when they do or don’t. However, fans of the ski resort are taking to social media to express their frustrations. What is going on? Will y’all be open this year? Lots of rumors?? Web Cam issues??? Any chance for turkey day turns this year? Are you kidding? Timberline’s electricity was shut off due to nonpayment. Unfortunately it takes electricity to run the lifts, so I wouldn’t hold your breath. You can’t even get a drink of water out of the fountain at Timberline. The water was declared undrinkable by the public authority. Others have posted similar things in recent days on other trip/travel websites and many have emailed us personally. We’ve attempted to address those question in another post today. See story. 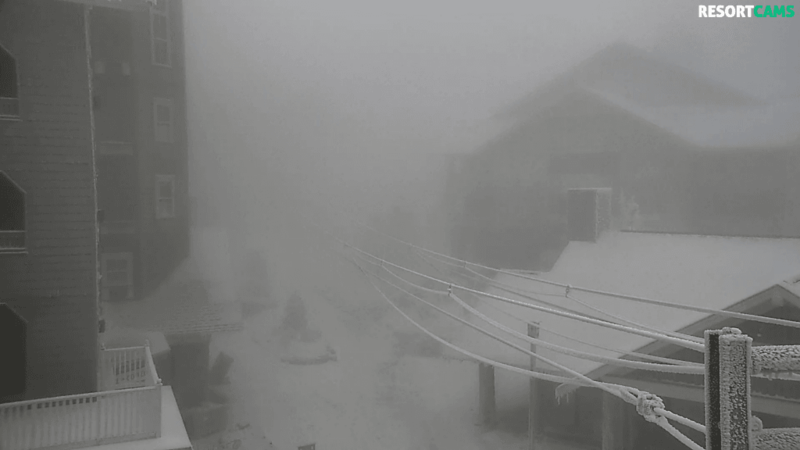 Sugar Mountain – is making snow as possible and open with 5 slopes for day sessions only. No night session on Saturday. Things look pretty good. Previous articleWant to Join Our SkiSoutheast Team?